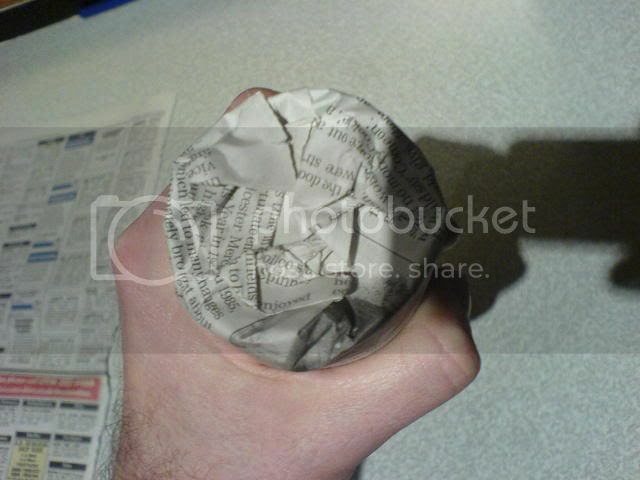 Making paper pots the easy way. 1) tear your paper sheet in half down the middle. 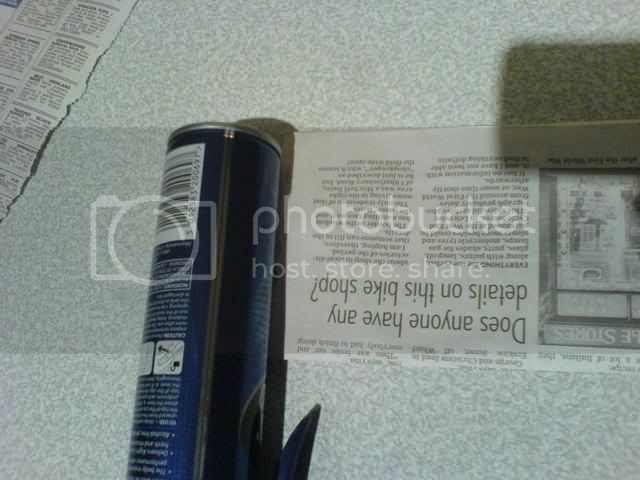 2) fold in half top to bottom and again,depending on your newspaper you should find itâ€™s about half the length of the can. 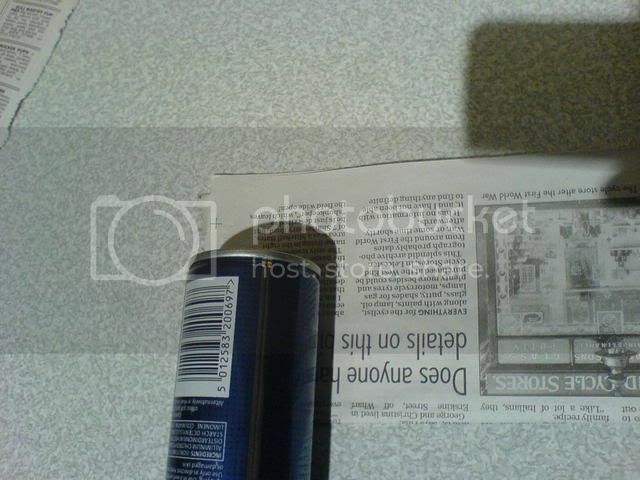 5) crush the over hanging paper into the bottom of the can, I then crush it down onto a hard surface. You can staple the flap if required and by playing around with the size of the paper you use you can alter the depth of the pot, change the size of the can and you change the diameter of your pot, easy ! Once they are full of potting medium they sit quite happily but I tend to put them in a tray next to each other anyway, they break up quickly on planting out unlike peat pots. They don't go mushy, I use a cheap seed tray ( with holes ) or even better one of them blue plastic baskets that green grocers use or for loads how about a bread basket. You can water as normal etc I have found they stand up to normal use esp if they are standing together in trays etc. 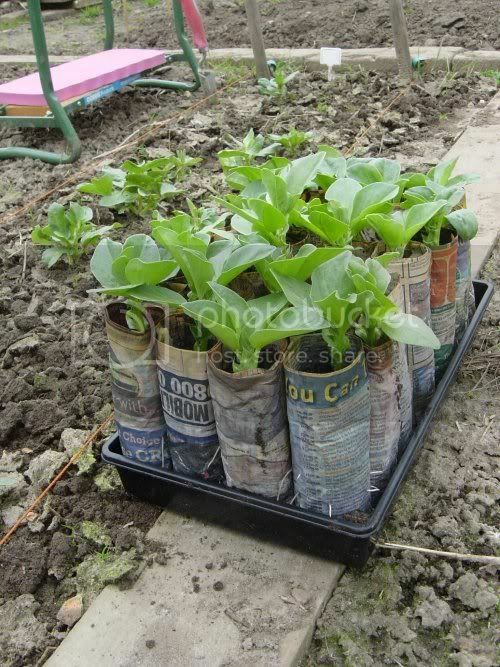 Well Rich, I've made some of your newspaper tubes to grow some broad beans in to fill in the gaps in my over wintered ones. I think a lot of them rotted in the very wet ground. I made them nice and deep to give plenty of space for the beans very deep roots. 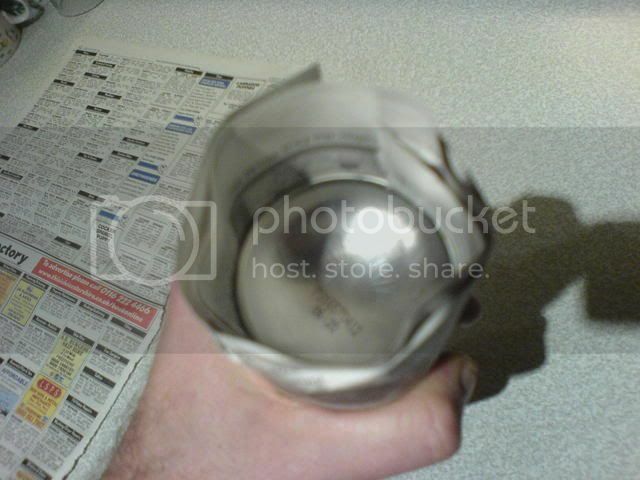 I wrapped the outside of the paper pots with clingfilm once in the tray (right around the outside), to prevent them drying out too much. An you can see the roots are coming through the newspaper. It was so easy to dig a hole with a trowl and drop them into the ground newspaper and all. Absolutly no root disturbance. I'll be using this method for other deep rooted plants and things whch don't like root disturbance - Sweetcorn springs to mind. if you fold in the top quarter inch or so it stops the flappy bit sticking out and make it a bit stiffer. 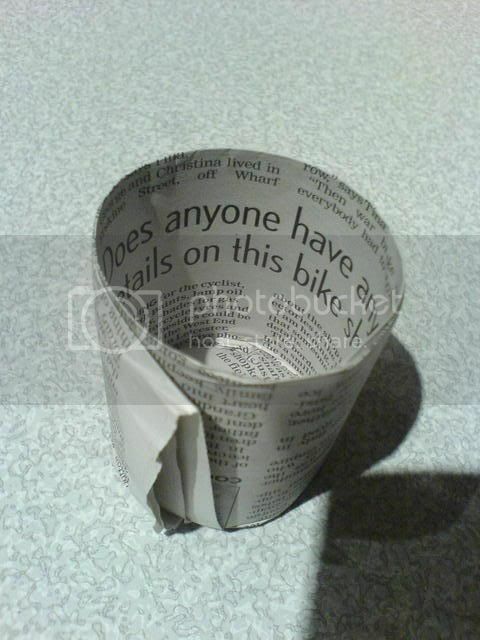 Paper pots are a very good idea! Out if interest, how do they stand up to watering and how long should they last before going into the ground? Last time I tried this (it always worked fine for my Mum), the paper rotted and took the seedlings with it in the end. There was this gross white slime over everything. What did I do wrong (I think I had a double thickness of paper, for instance), or was I just unlucky? Sounds like you kept them too wet to me. I'm tempted to give Parsnips ago, being notorious to germinate and they don't like transplanting, I reckon if you ripped open the bottom on planting it may work. I just got the new yellow pages and as we can't put the old one in to the recycling box do you think i could use the paper to make pots? computer illiterate, a one finger typist but doggedly determined to keep up with this new technology and use it to help me on my allotment. 10-15 mins before planting, i could un-wrap the paper pot, and using a bulb planter to create the hole, I could just drop the contents, whole without any disturbance to the plant.... then push the soil around them to firm in. As you say it gets better and better. Just rip the bottoms off them before planting. gosh I am going to try these, excellent idea. I take it you can use indoors and then plant outdoors. Do you plant outside in the pots and let them disintergrate, or take them out?